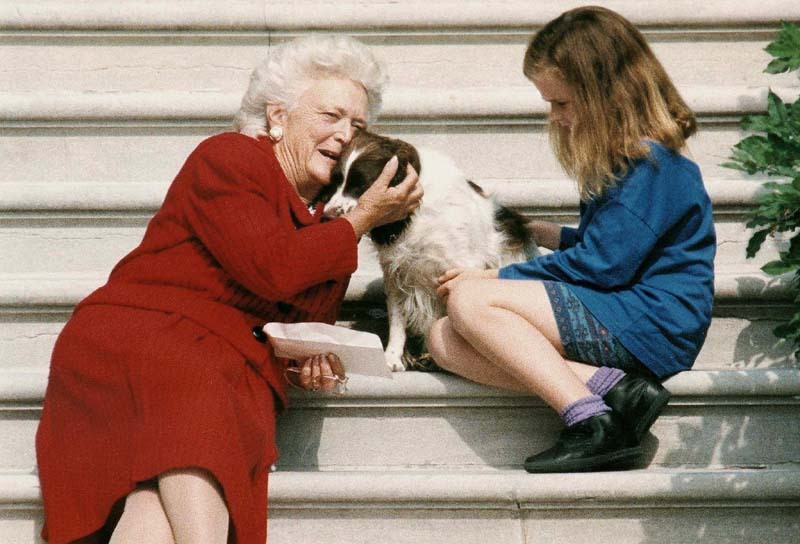 Barbara Bush, the former first lady and wife of former President George H.W. Bush and mother of former President George W. Bush died Tuesday at the age of 92. Apart from successfully having the longest marriage in presidential history — 73 years and raising an extraordinary family, six children and 14 grandchildren — Barbara was also one of the most elegant, kind and celebrated first ladies in American history. "Never lose sight of the fact that the most important yardstick of your success will be how you treat other people — your family, friends, and coworkers, and even strangers you meet along the way." "I'm a great believer that the most important years are the sort of early years but the preschool years and then into the first and second grades. If you get a good base in the first and second grade and you can read, you can do anything." "You don't just luck into things as much as you would like to think you do. You build step by step, whether it is friendships or opportunities." "The personal things should be left out of platforms at conventions. You can argue yourself blue in the face, and you're not going to change each other's minds. It's a waste of your time and my time." "I really feel very strongly that the person who runs for office is the courageous one, and the one who everybody has to know." "It seems to me I spent my life in car pools, but you know, that's how I kept track of what was going on." "Well, look at what people are doing for returned veterans now. The wounded warriors. They're working hard to make the wounded veterans feel that they are loved and welcomed home, unlike Vietnam. It was not a very kind, gentle world then. I think we are kinder and gentler." "You try to do something every single day that will help an American or maybe someone overseas." "I may be the only mother in America who knows exactly what their child is up to all the time." "I'm not a competitive person, and I think women like me because they don't think I'm competitive, just nice." "Bias has to be taught. If you hear your parents downgrading women or people of different backgrounds, why, you are going to do that."